Author of the new business funding how-to, The Funding Is Out There! Access the Cash You Need to Impact Your Business, is bringing her message to the masses through radio. Tune in over the next days and weeks to hear her message. AKRON, Ohio - Sept. 9, 2014 - PRLog -- Tiffany C. Wright, the author of The Funding Is Out There! Access the Cash You Need to Impact Your Business, will be the featured guest in several upcoming radio and podcast interviews. She will appear live on the Michael Dresser Show, Dresser after Dark, on Tuesday, September 9, at 5:55pm ET. Tiffany will be a guest on an upcoming episode of The Fresh Kisgen Show, a podcast hosted by Doug Kisgen. This show focuses on entrepreneurs in GO-mode, in other words, entrepreneurs steadily driving towards their goals and dreams, and helping others along the way. Tiffany will discuss The Funding Is Out There! with host Mary McKenna on The Dish, a part of the Smart Companies Thinking Bigger radio network. This show will air on Tuesday, September 16, at 11:00 am ET. Tiffany will also be a guest on the BlogTalk radio show, Fraternizing with Fran, where interesting people come to chat, on Wednesday, October 1, at 2:00 pm ET. The show’s hosts, Fran Silverman and Frank Fiore, intend to explore why Tiffany wrote the The Funding Is Out There! and what her journey has been. Tiffany C. Wright is the president of The Resourceful CEO, a company that provides informational products and services to provide business owners with a de facto member of the executive management team. In addition to helping former clients obtain over funding, she has helped companies significantly increase revenues and improve profitability in industries ranging from IT to construction to business services. She has an MBA from the Wharton School at the University of Pennsylvania in Finance and Entrepreneurial Management and a BS in Industrial Engineering from The Ohio State University. The Funding Is Out There! 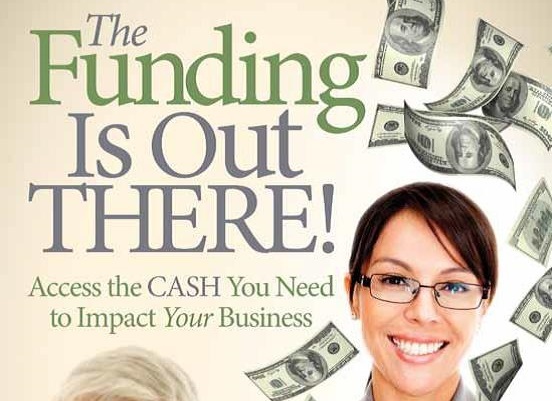 (http://www.amazon.com/Funding-Out-There-Access-Business-e...) Access the Cash You Need to Impact Your Business is now available in eBook format on Amazon. Its release date in softcover and hardcover in bookstores is October 1. For more information or to obtain an advance physical copy, visit www.thefundingisoutthere.comor contact Trevor Wright at 404-642-0509 or media@theresourcefulceo.com to request interviews or speaking engagements.